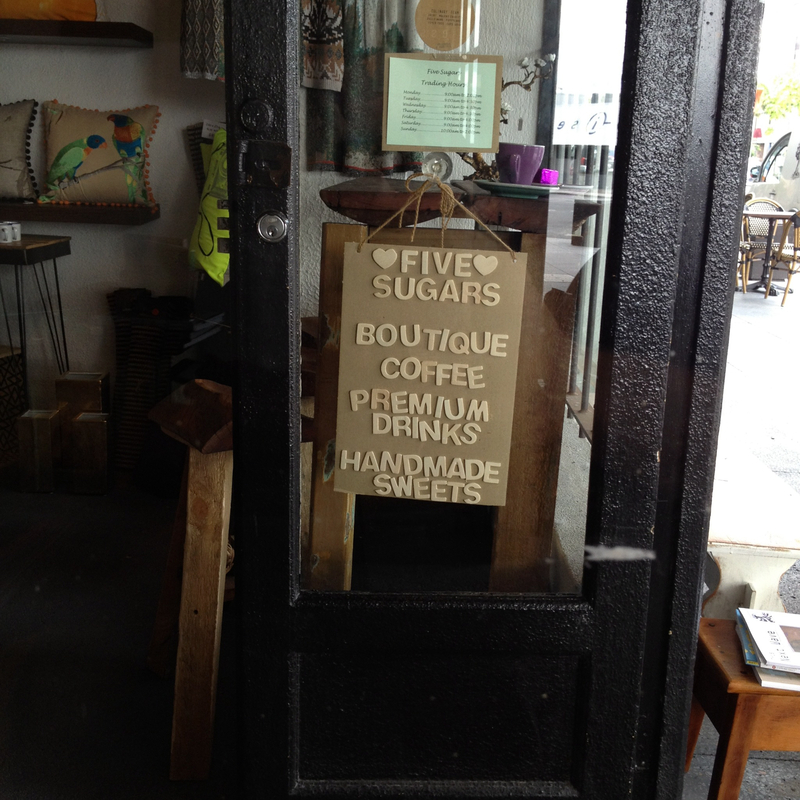 Five Sugars is a little gourmet coffee and chocolate bar tucked inside Lavish, a pretty eclectic little homewares shop on a pretty little and eclectic strip on Logan Road in Woolloongabba. It’s a street filled with antique shops and cafes – so Five Sugars is like the overlapping area of a venn diagram of what you’d expect to find on the street. It’s a cute set up with nooks and crannies, and books, and grannies – at least if you’re looking for an outing for your grandmother, which I always am. Really that was just to finish the rhyme. It’s a really trendy little boutique shop, and the chairs, while a little sparse, are quaint wooden stools and benches with a found furniture vibe. 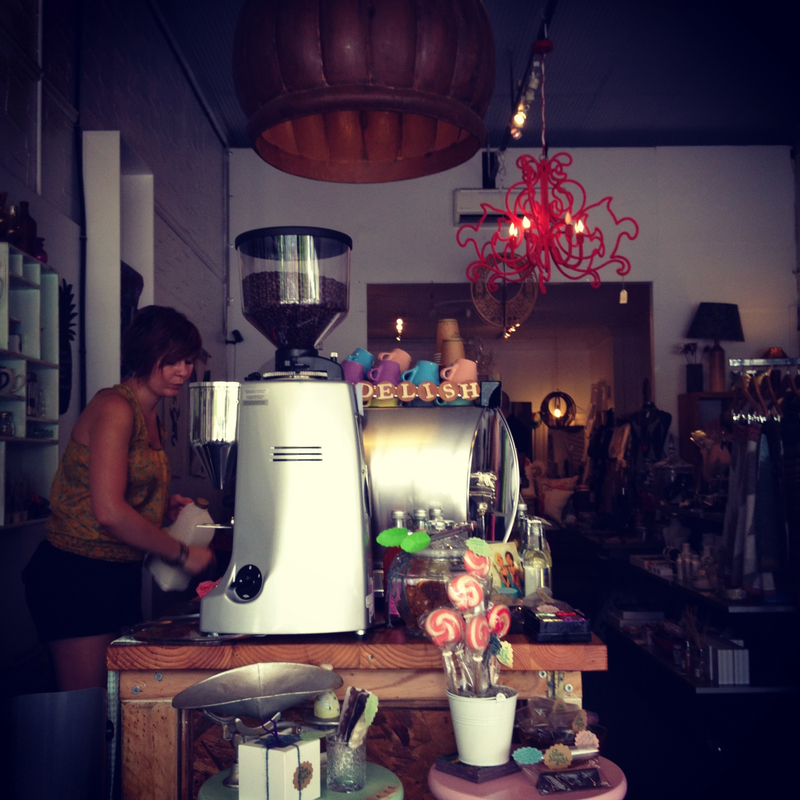 The shiny La Marzocco is paired with a Mazzer, which is grinding up the delicious Saint blend from Cleanskin Roasters. 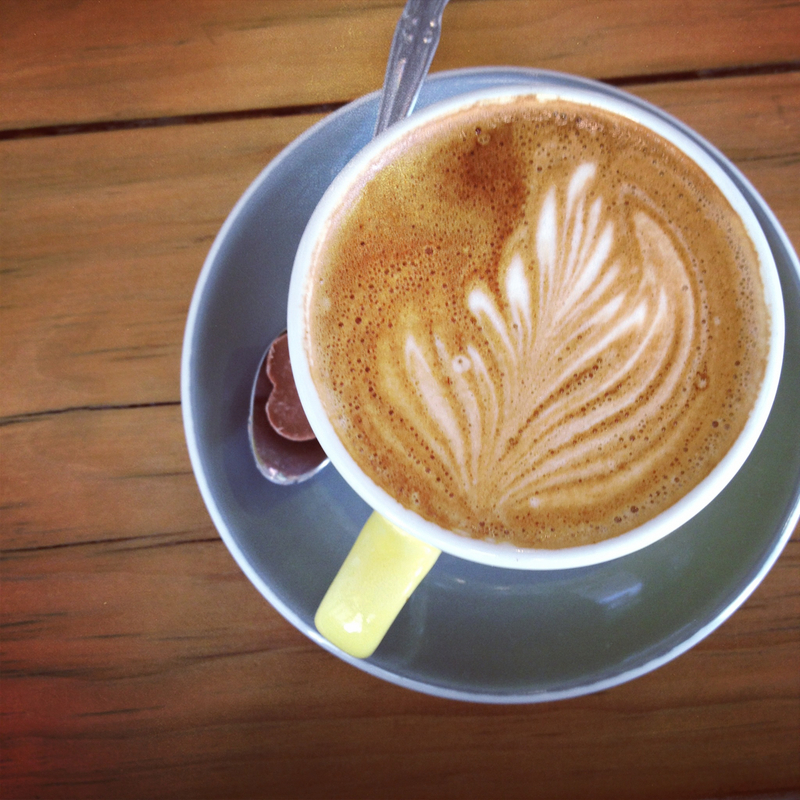 The milk is from Maleny Dairies – and I love the way Five Sugars talks about their product as a partnership between them, and their suppliers. Quality ingredients going in maximises the chances of quality output. And both the coffees, which were packed with texture and oozing with rich flavour, and the little chocolate accompaniment, were thoughtfully and carefully prepared. The chocolate perfectly complemented, and complimented, the flavour of the coffee, which was terrific as both a piccolo and a flat white. Food tidbits were tasty (in the case of an Anzac styled Oatmeal biscuit) and morsel sized – so pretty much guilt free. Right? 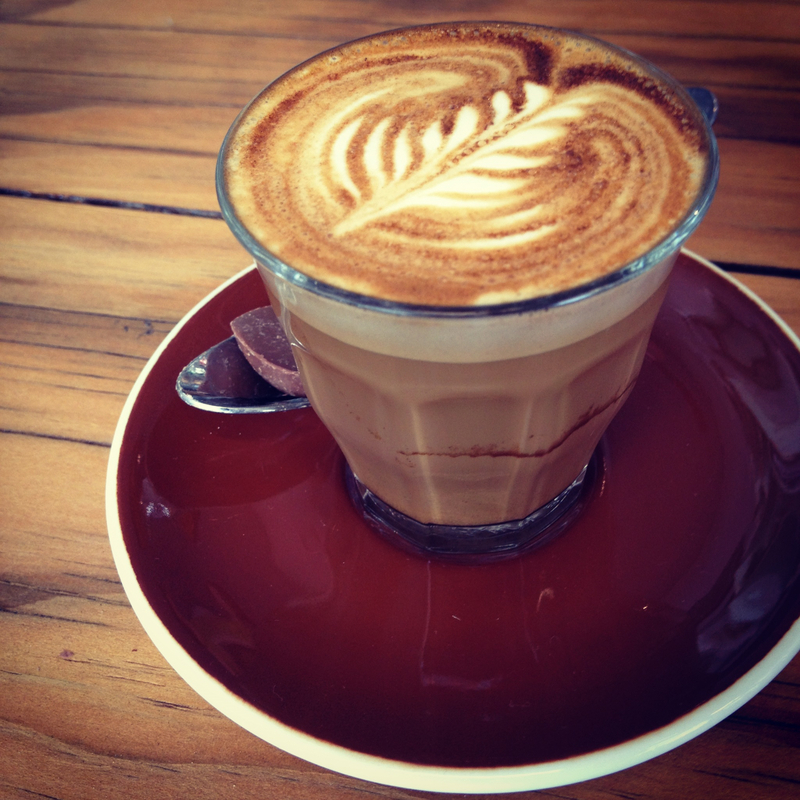 And it’s definitely another little joint to add to a coffee jaunt itinerary on Brisbane’s south side. Hit up Five Senses on Facebook and check out some of the gloriously colourful photos of their lolly range.